IntelliJ IDEA keeps amazing me. 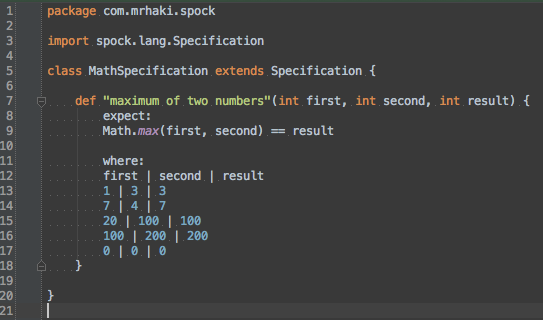 Last week I learned the code formatter of IntelliJ IDEA 12 supports Spock specific where: block formatting. 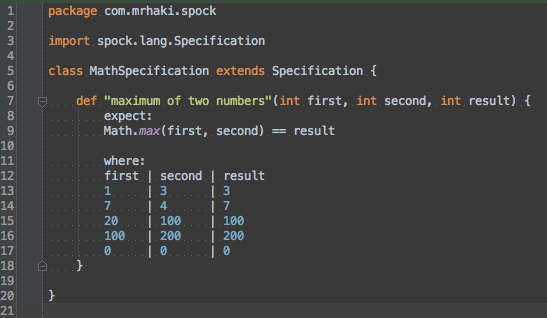 Spock has great a great feature called data tables. We can define a fixed set of data values in a table-like format where cells are separated with pipe (|) symbols. These tables are easiest to read if formatted in fixed size columns. The IntelliJ IDEA formatter will do this for us automatically.